Cerablak™ technology is enabling new possibilities in high temperature materials science. Its original discovery stemmed from an accidental experimental result that yielded a nanocomposite consisting of carbon encapsulated in aluminophosphate glass that is stable above 1400°C in air. The black glass-ceramic led to the name “Cerablak™.” By further refining this discovery via molecular design, several unique products have been developed including transparent ultra-thin films. Cerablak™ is establishing a global footprint across diverse markets and applications with unmatched high temperature performance. With global focus on improved energy efficiency, lower emissions and material sustainability, surface engineering at high temperatures has become an essential part of this strategy for manufacturers and end users. Learn how Cerablak® surface engineered products are rapidly establishing a firm footprint by providing innovative solutions to combat high temperature material degradation. Advanced ceramic materials, composites, and coatings will become ubiquitous in the 21st century due to their outstanding high temperature properties. 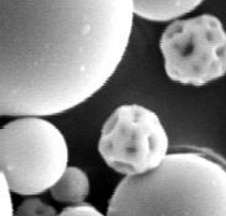 High manufacturing costs and limited durability are restricting their entry into many commercial applications; however, ATFI has developed unique surface engineering concepts, including a revolutionary approach to sealing porous structures to improve performance and durability and thus reduce life cycle costs. 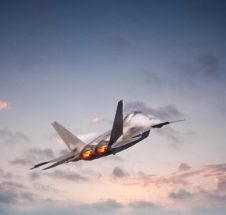 A new class of high-temperature oxide fiber reinforced ceramic matrix composites (Oxide-Oxide CMC) with excellent thermal stability is being developed utilizing Cerablak™ technology for the aerospace, defense, and energy industries. Worldwide initiatives to meet 21st century energy needs and environmental sustainability are driving investments in clean technologies. ATFI is committed to the cleantech revolution through advancements in high temperature surface engineering. Cerablak™ materials offer innovative yet practical solutions that improve fuel/energy efficiency, reduce emissions, and extend component life in the aerospace, automotive, energy, and manufacturing industries. For emerging energy technologies, ATFI has also developed unparalleled surface treatments to enable next generation solar, lighting, and battery technologies. Metals from steel to aluminum to advanced alloys are all susceptible to high temperature corrosion and other forms of thermally induced material degradation. Nickel and titanium-based alloys are utilized predominantly in the higher temperature regime (>1000°F), and suffer from extensive degradation. 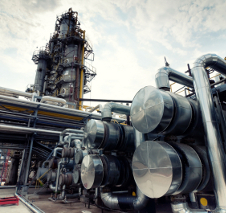 A suite of Cerablak™ technology solutions are serving to meet challenges in a wide range of corrosion conditions via paradigm-shifting surface engineering methodologies. 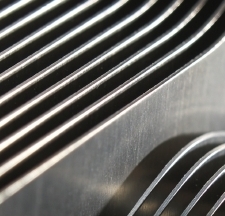 Cerablak™ surface treatments are being developed for both compact and extended-surface heat exchangers across multiple end-use applications. The versatile surface treatment can be applied to hot and cold wall pipe interiors and exteriors, as well as corrugated plate and fin arrangements, microchannel designs, and more complex design geometries. 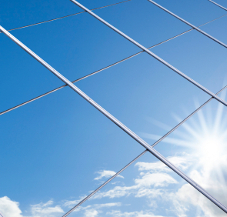 Learn how Cerablak® ultra-thin, glassy films provide hermetic quality coverage to promote heat transfer efficiency, while providing superior protection from fouling and corrosion in harsh environments and high temperatures. ATFI is an advanced materials company specializing in performance-based, molecularly-designed thin films and ceramics. Our team is committed to providing high-value material performance at elevated temperatures, yielding significant cost, energy, and environmental savings for our Fortune 500 customers. 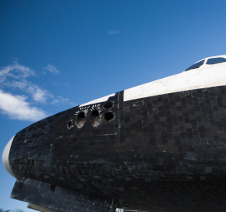 Primarily focused on innovative surface treatments and materials for applications at high temperatures and harsh environments, ATFI serves energy, aerospace, defense, and other industries where competing materials fall short of expected performance levels. ATFI’s flagship products, sold under the Cerablak™ brand, are solution-derived, aluminophosphate-based materials that are rapidly gaining recognition as “the game changers” in high-temperature surface engineering. Cerablak™ materials are produced in several product forms including thin or thick films/coatings, microspheres, and ceramic composites. Our vision is to continue to innovate and market high-performance ceramic materials and surface-engineered products for a cleaner, more efficient future. Science is our passion. Providing value is our commitment. Founded in 1998 and based on advanced material innovations and R&D efforts at Northwestern University in Evanston, IL, USA, ATFI is an independent, privately held company well poised for rapid growth. Dr. Sankar Sambasivan, ATFI founder, president, and CEO, is the lead inventor of Cerablak™ technology and has led its development to date. Since inception, ATFI’s core competency has been in advanced materials research and surface engineering. For more than a decade ATFI's dedicated team of scientists and engineers has developed the Cerablak™ technology with a keen eye toward material performance issues that plague various industries. The United States Departments of Energy and Defense have shown continued interest in ATFI’s unique technology, investing more than $15 million in its development. Today, ATFI holds more than 25 issued patents in the U.S. and internationally. Our goal is to offer our customers a sustained competitive advantage in high-value markets where high-temperature performance is a top priority. ATFI offers a flexible business model to suit the needs of our customers. Our advanced products are not sold "off the shelf." We view surface engineering as a customized process in which we tailor our products to satisfy each customer’s specific application. Beginning with coupon samples to validate feasibility, we then work closely with a customer to optimize the technology for the application of interest, ultimately commercializing through a technology licensing agreement with a customized, turnkey manufacturing process. At ATFI, we believe that cutting-edge technology is only as valuable as the solution it provides. Our professionals are ready to exploit the awesome power of Cerablak™ technology to provide unique solutions to our customers. Please contact us to let us know how we can help improve your business.